Climate change research has shown that the temperature of the oceans is rising, but what about lakes? A new study released in December showed that lakes are not only warming, but they're warming faster than the oceans, according to MPR News meteorologist Paul Huttner. NASA and the National Science Foundation collaborated on the study, which focused on 235 lakes on six continents over 25 years. The study concluded that lakes are warming at an average rate of 0.61 degrees Fahrenheit every decade. Four of the five Great Lakes were included in the study, and Lake Superior was found to be one of the fastest-warming lakes on the planet. Superior is warming at a rate of 2 degrees Fahrenheit per decade, Huttner said, which is three times the global average. "Project that out 50 years, and you've got a Lake Superior that's 10 degrees warmer. That could be a very different lake in terms of ice cover and ecosystems within the lake," Huttner said. So why is deep, cold, large Lake Superior more sensitive to climate change than other lakes around the world? 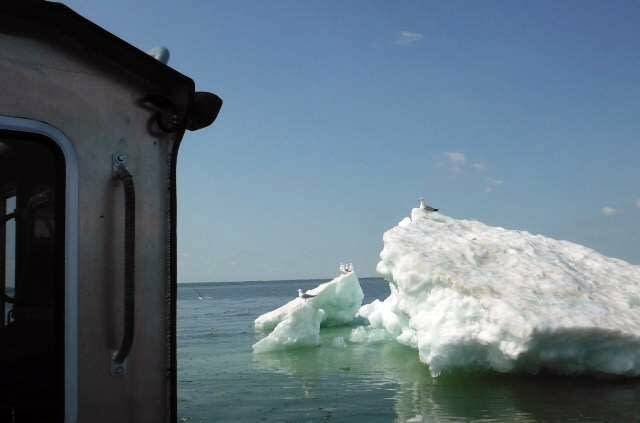 Jay Austin, a professor at the Large Lakes Observatory at University of Minnesota Duluth, identified two factors behind Lake Superior's warming. Austin said the study does appear to show that lakes in colder climates are warming faster, which could be due to their location. Many of the colder lakes are located in mid-to-high latitudes. "In general, the 'climate warming signal,' if you will, tends to be stronger at mid-to-high latitudes than it is in the tropics," Austin said. A second factor contributing to Lake Superior's increased warming is the presence of ice — or the lack thereof. "When you have a year that has lots and lots of ice, a lot of sunlight that would normally enter the lake in the late winter and early spring just gets bounced back into space," Austin said. "That results in a cooler start to the summer season. If you take that away, a lot more heat can get absorbed in those winter and spring months, and you end up with a warmer lake not just in the winter and spring, but a warmer lake later in the year." Warmer winters means less ice, which then translates into warmer lakes year-round. Austin underlined that a difference of just 3 to 4 degrees Fahrenheit in air temperature could be the difference between a year with ice and a year without. "One of the things that's difficult about conveying the issues surrounding climate science to the public is that the differences we talk about sound really small," Austin said. "But it turns out that a lot these systems are really, really sensitive to these very, very small changes." As for what a warmer Lake Superior will look like, Austin said that invasive species may become more of an issue. "One of the reason that Lake Superior has so far been relatively low on the totem pole, as far as invasive species impacts, is the fact that it was so cold," Austin said. "It will be interesting to see what happens as the lake warms up."